The expressionistic conceptual paintings are presented in trilogy format depicting evolution of a theme using watercolor & gouache paints on arches cold press watercolor painting. 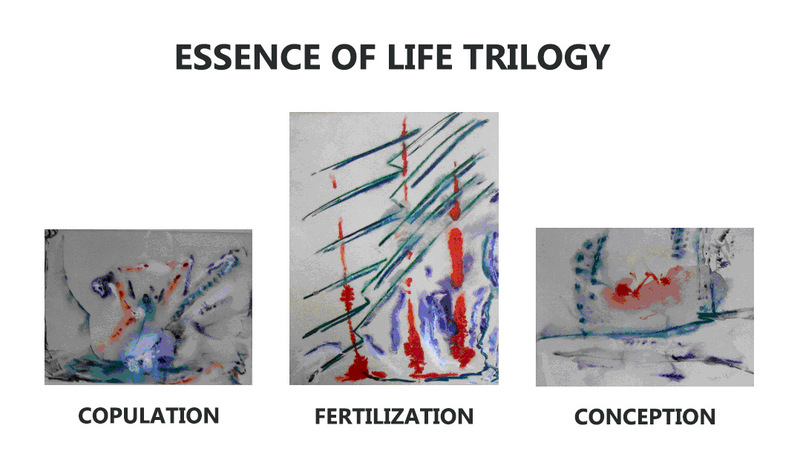 TRILOGY "ESSENCE OF LIFE" series are matted and framed under glass. Each painting measures 34 inches by 44 inches. TRILOGY "TRANSFORMATION" is presented in one frame measuring 15 inches by 30 inches.